1. 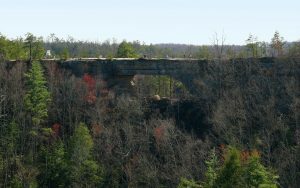 Natural Bridge at Red River Gorge - The Natural Bridge combines the beauty of nature, a stunning backdrop, and breathtaking views for a proposal. She definitely won't be expecting it, and hopefully the intense hike will help you keep your mind occupied until the big moment! 2. 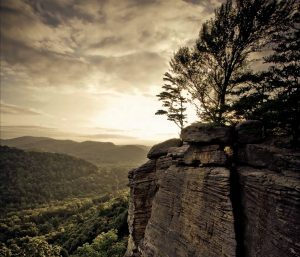 Indian Fort Theater - Not just one of the most stunning outdoor locations in Berea, Kentucky but also a site with historic significance potentially dating back to 200 BCE. The Indian Fort Theater is a site that merges spirituality and nature which makes it the perfect place for a proposal! 3. 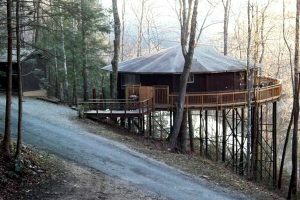 Treetop Roundhouse - The house was constructed in 1973. It is an original Rondesic design, an early Deltec home. It is built on the side of a hill, resting on a steel frame the house is suspended some 40 feet in the front and about 12 feet in the back. This house was built to withstand about anything. Is there a better way to start off an engagement than being in a house that was built to withstand almost anything!? 4. 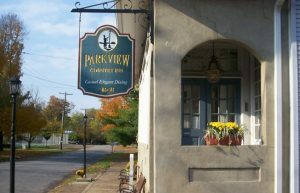 Parkview Country Inn - The Parkview Country Inn is located in the quaint town of Augusta, KY. Augusta is a scenic drive no matter what direction you come from. When you are here you will feel "far away" from everything. You are, it seems, suddenly in the rural south. Driving to Augusta you will see burley tobacco leaves drying in barns, trees forming a canopy over the road, railroad tracks stretching into the distance, and the Augusta ferry crossing the wide blue waters of the Ohio River which sounds like the perfect backdrop for a romantic proposal!